§ 400.410 Automobile Service Stations and Convenience Stores With Fuel. § 400.420 Bed and Breakfast Establishments. § 400.440 Hospitals and Orphanages. § 400.450 Junk, Used Auto Parts and Salvage Yards. § 400.460 Manufactured (Mobile) Homes As Temporary Non-Residential Uses. § 400.480 Temporary Retail Sales and Outdoor Display of Merchandise. § 400.490 Sidewalk Cafes — Definitions, Standards and Criteria. § 400.500 Sidewalk Cafes — Permit Application, Approval, Renewal and Revocation. § 400.510 Portable On Demand Storage Containers. § 400.520 Commercial Storage Containers. § 400.590 Moving of Buildings. § 400.600 Parking and Storage of Boats, Trailers, Camper Shells and Recreational Vehicles On Residential Property, City Streets and in Mobile Home Parks. § 400.620 Setback Requirements Generally. Section 400.410 Automobile Service Stations and Convenience Stores With Fuel. Section 400.420 Bed and Breakfast Establishments. Section 400.440 Hospitals and Orphanages. Section 400.450 Junk, Used Auto Parts and Salvage Yards. Section 400.460 Manufactured (Mobile) Homes As Temporary Non-Residential Uses. Section 400.480 Temporary Retail Sales and Outdoor Display of Merchandise. Section 400.490 Sidewalk Cafes — Definitions, Standards and Criteria. Section 400.500 Sidewalk Cafes — Permit Application, Approval, Renewal and Revocation. Section 400.510 Portable On Demand Storage Containers. Section 400.520 Commercial Storage Containers. Section 400.590 Moving of Buildings. Section 400.600 Parking and Storage of Boats, Trailers, Camper Shells and Recreational Vehicles On Residential Property, City Streets and in Mobile Home Parks. Section 400.620 Setback Requirements Generally. In all residential zoning districts, as well as all dwellings located in any other zoning district, dogs, rabbits, cats, horses or ponies may be kept as domestic pets by the occupant of a dwelling unit. These animals may not be used or kept for commercial or resale purposes or so as to cause a public nuisance. The stable, shed or other place of shelter for a horse or pony shall not be located closer than fifty (50) feet to any property line. No horse or pony may be kept on a lot which measures less than two and one-half (2½) acres in area. Permanent shelters, pens or cages shall be located at least fifty (50) feet from any property line. The shelter, pen or cage shall have a concrete floor and be maintained in a sanitary condition. Fowl shall not be kept for commercial or resale purposes or so as to cause a public nuisance. Only hens may be kept on residential property. Roosters are prohibited. In residential lots of seven thousand (7,000) square feet or less, the maximum number of hens that may be kept is eight (8). One (1) additional hen is permitted for each two thousand (2,000) square feet of lot area greater than seven thousand (7,000) square feet to a maximum of twelve (12) hens. Hens shall not be kept for commercial or resale purposes. Hens and eggs may not be sold nor may they be advertised for sale. Located entirely in the rear yard as defined in Section 400.050. A coop shall not exceed one hundred (100) square feet in area, and shall be located in the rear yard as defined in Section 400.050. Minimum of twenty-five (25) feet from any residence other than the owner's residence. Both the fenced confinement area and the coop shall be maintained as to not pose a threat to the public health, safety or welfare or to cause a public nuisance. No material from the confinement area or coop shall run off onto adjoining property. Any manure or waste shall be collected and properly removed from the premises or tilled into the soil on the premises promptly and regularly to prevent offensive smells or conditions conducive to diseases. Food for hens shall be stored in a sanitary, leak-proof container that cannot be contaminated by rodents or insects. Chickens shall not be slaughtered at any location on the property where the slaughtering may be observed from another property or a street or alley. All waste resulting from the slaughtering of chickens must be disposed of so as not to create a threat to public health and safety, and not produce obnoxious or foul odors or create a public nuisance. Editor's Note: Subsection 1 of Ord. No. 15-234 also redesignated former Subsection (C), which immediately followed, as Subsection (D). In all residential zoning districts and any single-family and two-family dwellings located in the "C-1" zoning district, cattle, swine, sheep and goats shall not be kept under any circumstances. Cross Reference—As to penalty, §400.1890. Purpose. In order to regulate and control the problems of noise, odor, fumes, dust, danger of fire and explosion and traffic congestion, which result from the unrestricted and unregulated operation of service stations, and to regulate and control the adverse effects which service stations may impose upon surrounding areas, the following regulations and requirements shall apply to all service stations located in any zoning district. Minimum Lot Area. The minimum lot area shall be twenty thousand (20,000) square feet or two thousand (2,000) square feet for each pump station, whichever is greater. Minimum Lot Width. 150 feet at the building line. Minimum Lot Depth. 100 feet. Maximum Height Of Building. 2½ stories or 35 feet. Front yard setback: 50 feet. Side yard setback: 10 feet, except 20 feet where adjoining a residential zoning district. Rear yard setback: 10 feet, except 20 feet where adjoining a residential zoning district. Twenty (20) feet, except as required in items (b) and (c) below. Twenty-five (25) feet from any street right-of-way line parallel to a pump island. Fifty (50) feet from any street right-of-way line perpendicular to a pump island. Fifteen (15) feet from any street right-of-way and ten (10) feet from any other lot line. Canopy support posts shall be located no closer than twenty (20) feet to a street right-of-way. All discarded tires, parts, trash and similar objects shall be stored within a masonry enclosure, a minimum of six (6) feet in height, in the rear half or, in the case of corner sites, the rear quarter of the site. When abutting any residential district, automobile service station sites shall be fenced with a decorative brick, stone masonry or wood wall or fence a minimum of six (6) feet in height. Public Utilities. All automobile service stations shall be connected to public water and sanitary sewers. Off-Street Parking And Loading. Requirements contained in Section 400.670. All grease racks shall be contained within the building. Entry to grease racks shall be on the side, away from any public street. Tanker Delivery. No delivery tanker shall be allowed to park on a public right-of-way during gasoline delivery, nor shall any hose be permitted on a public right-of-way. Gasoline Storage. The total gasoline storage capacity of each service station shall not exceed twenty thousand (20,000) gallons, unless permission is granted in writing from the Fire Chief. Hours Of Operation. If the automobile service station is within one hundred (100) feet of any residential zoning district, then the service station shall not operate between the hours of 12:00 A.M. and 6:00 A.M. This Subsection (N) shall not apply to any place of business which is engaged in the retail servicing of motor vehicles with fuels and oil and which does not provide repairs. This Subsection (N) shall apply to all service stations existing on the effective date of this Subsection (N) and to those erected after the effective date of this Subsection (i.e., July 5, 1977). Removal Of Closed Or Inactive Automobile Service Stations. Any automobile service station that is closed to the public and has a dormant, inactive or non-operable status for a period of at least six (6) consecutive months shall be removed from the property upon which it is located. The words "removed from the property", as used herein, shall mean the following: removal of all fuel pumps and associated pipes whether located above or below ground from the premises; removal of any canopies covering fuel pumps; and excavation and removal of all underground storage tanks. Removal of the automobile service station shall be completed within sixty (60) days after the end of the six (6) month period of closure, dormancy, inactivity or non-operation. Any person who violates any of the provisions of this Subsection shall be subject to the penalty set forth in Section 100.150. Any necessary business license shall be obtained pursuant to the requirements of the City of St. Charles Finance Department. No other type of occupation or profession shall be permitted within the building where the bed and breakfast establishment is located. Buildings of less than two thousand five hundred (2,500) square feet of interior living space shall be allowed to use no more than three (3) bedrooms, nor more than fifty percent (50%) of the livable floor area of the building for the bed and breakfast establishment. Buildings of greater than two thousand five hundred (2,500) square feet of interior living space may be allowed up to six (6) bedrooms but no more than fifty percent (50%) of the livable floor area for use of the bed and breakfast establishment. The applicant shall provide a floor plan showing the specific location of the areas to be used for the bed and breakfast establishment. No non-family person shall be employed. No offensive noise, vibration, smoke, dust, odors, heat or glare shall be produced. There shall be no exterior display, no exterior sign, except as permitted herein, no exterior storage of materials and no other exterior indication of the bed and breakfast establishment or variation from the residential character of the building. One (1) sign shall be permitted which shall be unanimated, non-illuminated, flat or window sign having an area of not more than one hundred forty-four (144) square inches. The sign shall be attached flat to the building. No machinery or equipment shall be installed which interferes with radio or television reception and which is not customarily incidental to the bed and breakfast establishment. One (1) unobstructed off-street parking space shall be provided for each available bedroom in the bed and breakfast establishment. The Director of Community Development may grant a variance if it can be shown that adequate parking already exists. No additions shall be added to the residence to establish this use. No lodger shall be rented a room for longer than seven (7) consecutive days. No meals may be served, except for breakfast and/or brunch. Meals may be served only to overnight guests. The owner/occupant is required to maintain a guest register which shall be available for inspection by the City. Commercial Districts. A bed and breakfast in a commercial district shall have independent bath facilities for each guest room. The property is located within the SMPD South Main Preservation District, HDD Historic Downtown District, FPD Frenchtown Preservation District, CPD Commons Preservation District, the LMPD Landmarks Preservation District, or the Midtown Neighborhood as shown on the attached Exhibit A, held on file in the City offices. The property is zoned CRD-II Central Residential District. Parking shall be provided in accordance with Section 400.670; however, modifications to this standard may be approved by the City Council during the conditional use permit review process. A home occupation is an occupation or profession which is customarily carried on entirely within the dwelling unit by a member of the family residing in the dwelling unit, which is clearly incidental and secondary to the use of the dwelling unit for residential purposes and which conforms to the standards and provisions provided herein. Home occupations may be for profit or not-for-profit. Up to four (4) types of occupation or profession shall be permitted within the occupied building. The total area utilized by home occupations may not exceed twenty-five percent (25%) of the total floor area and in no event more than five hundred (500) square feet of floor area of the occupied building. All employees and business partners must reside in the dwelling unit or be related to the applicant by blood, marriage, or adoption. There shall be no exterior display, no exterior sign, except as permitted herein, no exterior storage of materials, no direct access from outside the principal building to the home occupation except that which serves the residential portion, and no other exterior indication of the home occupation or variation from the residential character of the principal building. One (1) sign shall be permitted which shall be an unanimated, non-illuminated, flat or window sign having an area of not more than one hundred forty-four (144) square inches attached flat to the building. No business hours shall be permitted after 8:00 P.M.
No machinery or equipment shall be installed which interferes with radio or television reception and which is not customarily incidental to the practice of such occupation or profession. No machinery or equipment shall be permitted which is not customarily found within or incidental to residential use of property. A profession such as an engineer, architect, doctor, dentist, consultant or lawyer. Music, dancing and other teachers or tutors; provided the instruction is limited to one (1) pupil at a time, except for occasional groups. Beauty and barber services having not more than one (1) operator. Real estate or insurance services. Photography studio primarily devoted to photography of individuals or small groups. Artists, artisans, and crafts people, with items produced on premises. Nursery schools, kindergartens, and child-sitting services having no more than four (4) children at any one time, not including members of the immediate family of the operator. Internet-based businesses without on-site warehousing or stock-in-trade. Vehicular repair, detailing or sales. Nursery schools and kindergartens and child-sitting services having more than four (4) children at any one time, not including members of the immediate family of the operator. Retail or wholesale sales with stock-in-trade and customers coming to the home, including, but not limited to, dealers in groceries, appliances, automobiles, computers, and pharmaceuticals. Veterinarian services or animal hospitals. Private clubs, including fraternity and sorority houses. Sales, distribution or auction services relating to firearms or alcohol. Every person engaged in a home occupation shall obtain a home occupation permit from the Department of Community Development, and shall obtain a business license if one is required for that occupation. When an application for a home occupation permit is filed, the Department of Community Development shall schedule a permit application conference, and shall send a notice of the conference to the applicant, to the residence on the adjacent properties on all four (4) sides, and to the Councilmember of that ward. The purpose of the conference is the discussion of the requirements of the City ordinances and the proposed home occupation. The applicant, the persons from the adjacent residences, and the Councilmember may attend and participate in the conference. Notification of the decision to issue the permit or to deny it shall be mailed to the applicant, to the adjacent residences, and to the Council- member. Permit revocation. Whenever the Director of Community Development determines that a permit holder has violated any of the standards contained within this Section, the Director may initiate the following revocation proceedings. The Director shall notify the permit holder of the intent to revoke the permit, and state that the revocation will become effective ten (10) days after the date the notice is mailed by registered or certified mail or is delivered to the permit holder at the home where the home occupation is located. The permit holder may appeal the decision to revoke within the ten (10) day period by delivering a written appeal to the Department of Community Development. If the permit holder appeals the Director's revocation decision, the Mayor shall set a date for a hearing, giving at least ten (10) days' written notice of the hearing to the permit holder, the adjacent residence, and the Councilmember. The Mayor shall hear and determine the case, and shall cause a record of the case to be kept, and copies shall be made available to any interested person upon the payment of a reasonable fee. Minimum lot size: 2 acres. 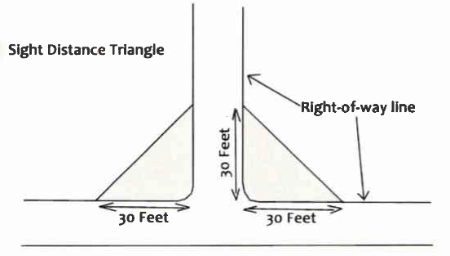 Minimum setback requirements measured from building line to property line: 50 feet. Three (3) stories or 45 feet. May be increased to a maximum of five (5) stories or sixty-five (65) feet by the provision of an additional five (5) feet of setback from all exterior property lines for each additional story. Sites shall front upon a collector or arterial street. Sight-proof fences or walls shall be required around the entire area of junk yards and/or used auto parts yards or salvage yards. Fences shall not be less than six (6) feet nor greater than ten (10) feet in height. Fences shall be designed and constructed in compliance with existing building codes. Fences and/or greenbelts shall be used to shield contents of such businesses from view of public streets or residences. Fences shall be properly maintained at all times. In no instance shall slatted chain-link fencing be installed. Stacking in a junk yard shall be limited to the height of the fence. There must be enough space provided so that if any material falls or is blown over, it will fall on the property. No items for sale shall be stored or displayed on the fence or outside of the fenced area. Any business moving to a new location shall be in full compliance with the regulations of this Section. A manufactured (mobile home), modular, prefabricated, sectional home, unit or units may be used as a construction office during the construction, provided any building permit shall not exceed a period of two (2) years or project completion, whichever happens first. A permit from the Department of Community Development shall be obtained for all manufactured (mobile) homes used as a non-residential use. Ensure that regulation of telecommunications towers and structures does not have the effect of prohibiting the provision of personal wireless services and does not unreasonably discriminate among functionally equivalent providers of such service. On February 8, 1996, Congress enacted the Federal Telecommunications Act of 1996 P.L. No. 104-104. The purpose of the Act included deregulation of the telecommunications industry and providing a more competitive environment for wired and wireless telecommunication services in the United States. The Telecommunications Act of 1996 preserves the authority of the City to regulate the placement, construction and modification of towers and antenna support structures and to protect the health, safety and welfare of the public. The City has been granted the authority to enact legislation to regulate the construction, placement and operation of telecommunications towers and antennas pursuant to its zoning powers established in Chapter 89, RSMo., as amended, State Statute and additionally pursuant to its general and specific police powers established by Statute authorizing the regulations herein to protect the public health, safety and welfare. The regulation of radio signal interference among users of the radio frequency spectrum. Consistent with the Telecommunications Act of 1996, the regulations of this Section will not have the effect of prohibiting the provision of personal wireless services and do not unreasonably discriminate among functionally equivalent providers of such service. The regulations also impose reasonable restrictions to protect the public safety and welfare and ensure opportunities for placement of antennas with prompt approval by the City. The Section does not attempt to regulate in areas within the exclusive jurisdiction of the FCC. The uncontrolled proliferation of towers in the City is threatened without adoption of new regulations and would diminish property values, the aesthetic quality of the City and would otherwise threaten the health, safety and welfare of the public. The requirements set forth in this Section shall be applicable to all telecommunications towers, antennas and other support structures installed, built or modified after the effective date of this Section to the full extent permitted by law. Building codes, safety standards and zoning compliance. The design for a telecommunications tower shall bear the seal of a structural engineer licensed and in good standing with the State of Missouri. The structural engineer shall certify that the tower has been designed such that in the event of structural failure, it shall only fall on the property upon which it has been erected and shall not fall on any neighboring property. To ensure the structural integrity of antenna support structures, the owner shall see that it is constructed and maintained in compliance with all standards contained in applicable State and local building codes and the applicable standards published by the Electronics Industries Association, as amended from time to time. In addition to any other approvals required by this Section, no antenna, tower or support structure shall be erected without verification of zoning compliance and issuance of a building permit. Regulatory compliance. All antennas and support structures shall meet or exceed current standards and regulations of the FAA, FCC and any other State or Federal agency with the authority to regulate communications antennas and support structures. Should such standards or regulations be amended, then the owner shall bring such devices and structure into compliance with the revised standards or regulations within the time period mandated by the controlling agency. No approval for any placement, construction or modification of any antenna or structure permitted by this Section shall be granted for any applicant having an uncured violation of this Section or any other governmental regulatory requirement related to such antenna or structures within the City. Security. All antennas and support structures shall be protected from unauthorized access by appropriate security measures. A description of proposed security measures shall be provided as part of any application to install, build or modify antennas or support structures. Additional measures may be required as a condition of the issuance of a building permit or conditional use permit as deemed necessary by the Commission or by the City Council. Lighting. Antennas and support structures shall not be lighted unless required by the FAA or other State or Federal agency with authority to regulate, in which case a description of the required lighting scheme will be made a part of the application to install, build or modify the antennas or support structure. Equipment cabinets and shelters may have lighting only as approved by the Commission or by the City Council as part of the conditional use permit approval. Advertising. Except for a disguised antenna support structure in the form of attachment to an existing and otherwise lawfully permitted pylon sign, the placement of advertising on structures regulated by this Section is prohibited. Telecommunication towers, except towers owned or operated by the City of St. Charles, shall not exceed one hundred (100) feet unless approved by a conditional use permit. No two (2) towers, except towers owned or operated by a government entity, shall be located within a one thousand (1,000) foot radius. The distance shall be calculated from the center of the base of the tower. The design of the tower, compound and building mounted antennas shall maximize use of building materials, colors, textures, screening and landscaping that effectively blend the telecommunication facilities within the surrounding natural setting and built environment. Landscaping or sight proof fencing shall be required around the base of the telecommunication tower and around ancillary structures as indicated on a sketch plan. Landscaping shall be required to effectively screen ancillary structures from adjacent development and roadways. Landscaping shall include evergreen trees a minimum of six (6) feet in height. The evergreen trees shall be planted ten (10) foot on center. Telecommunication towers, excluding stealth towers, shall be set back from any public right-of-way a minimum of fifty (50) feet. Stealth towers shall be set back from a public right-of-way the minimum setback required by the zoning district in which the tower is located. All towers, disguised support structures, and related structures, fences and walls shall be separated from the property line of any adjacent property at least a distance equal to one-half (½) of the height of the tower or structure. Antennas on structures, including signage, shall be painted or treated to match the structure to which they are attached. Antennas shall not exceed five (5) feet above the structure unless additional height is authorized in the conditional use permit approving the antenna. Towers shall not exceed the height limitation of any airport overlay zone as may be adopted by the City. On-site parking for periodic maintenance and service shall be provided at all antenna or tower locations consistent with the underlying zoning district. Shared Use. All new telecommunication towers shall be constructed to accommodate at least one (1) additional user. Co-location on towers shall be encouraged; the applicant for a permit for a telecommunication tower shall submit a report to show that no viable co-location site exists to meet the applicant's coverage requirement. The report shall address all the existing towers within one (1) mile of the proposed tower location and shall indicate the reasons the existing tower(s) cannot include the proposed tower/antenna for co-location. The report shall include RF frequency coverage map(s) for the proposed tower and the existing towers within the one (1) mile radius. The report shall be signed and certified by an electrical frequency engineer. Obsolete Non-Complying Tower Structures. Any upper portion of a tower which is not occupied by active antennas for a period of twelve (12) months, and any entire tower which is not so occupied for a period of six (6) months, shall be removed at the owner's expense. Failure to comply with this provision shall constitute a nuisance that may be remedied by the City at the tower or property owner's expense. Commercial Operation Of Unlawful Tower Or Antennas. Notwithstanding any right that may exist for a governmental entity to operate or construct a tower or structure, it shall be unlawful for any person to erect or operate for any private commercial purpose of any antenna, tower or disguised support structure in violation of any provision of this Section, regardless of whether such antenna or structure is located on land owned by a governmental entity. Penalty. Any person violating this provision shall be subject to a fine of not more than five hundred dollars ($500.00) or ninety (90) days in jail, or both. Each day the violation continues shall constitute a separate offense. Intent And Purpose. It is the intent and purpose of this Section to permit defined temporary retail sales uses, outdoor display of merchandise and special events within the City on a controlled, time-limited basis while controlling any adverse impacts on the City's permanent uses. This Section is not intended to be a way to circumvent the strict application of the use districts. Therefore, time limits are to be strictly enforced. This Section does not apply to garage sales, vehicle sales, garden centers accessory to retail establishments, farm produce stands, fireworks stands licensed under Section 215.1100 et seq., non-profit organization fund-raising events or to authorized vendors permitted under the auspices of City-recognized civic events. Definitions. For the purposes of this Section, the following definitions shall apply unless the context clearly indicates or requires a different meaning. The outdoor displaying of goods or products normally offered for sale inside a business on the subject property. Such display may include items offered only on a seasonal basis such as salt or mulch in bags. A temporary use of land for the temporary gathering of people for a limited duration of time held outside and conducted on non-residentially zoned private property which is open to the general public. The use may or may not involve retail sales as an accessory component of the special event. A special event does not include City-sponsored events and festivals which may involve the use of private property but are primarily conducted on public property. Selling products, merchandise or service to the public, conducted on a temporary basis and not occupying a permanent structure on the property on which it is located. The use may or may not occupy a tent or other removable structure and may or may not be conducted by the owner or lessee of the property. The use may, but need not, be associated with a permanent use on the property. Temporary Retail Sales Permitted In Non-Residential Zoning Districts. If not already provided for as a permitted or conditional use by this Chapter, a temporary retail sales use shall be a conditional use in the non-residential zoning districts of the City, provided the use meets the criteria set forth in this Section. This Section shall not supersede or substitute for any other Section of this Chapter that requires another type of permit, certification or approval. Sales of products, services or merchandise not allowed by the specific zoning district in question shall not be permitted. The temporary retail sales use shall not generate noise, vibration, glare, fumes, odors or electrical interference beyond what normally occurs in the applicable zoning district. No more than one (1) temporary retail sales use may operate at any given time on the same property, unless approved by the same or a separate conditional use permit. The same location on private property may not have a temporary use more than six (6) times within a calendar year, unless approved by the conditional use permit. Adequate parking for the customers of the temporary retail sales use shall be provided in accordance with Sections 400.660 through 400.700, and required spaces for the principal use of the property shall not be reduced, unless approved by the conditional use permit. The temporary retail sales use shall be limited in duration by the purpose for which the permit is sought and as specified through the conditional use permit. A bond or other security agreement, in such amount to be determined by the City, as necessary, requiring and ensuring that the property be kept clean of all trash and debris during and immediately after the temporary retail sales use must be posted with the City prior to the establishment of the use. Information on parking, traffic circulation, fire prevention, insurance vendors and health certificates where applicable shall be evaluated. If off-site parking is to be used, then written permission from the owner of the property on which parking is proposed must be provided. In issuing a conditional use permit, the Planning and Zoning Commission may recommend and the City Council may approve appropriate conditions and safeguards as are necessary to protect the public interest and ensure harmony with the intent and purpose of this Section. If an applicant fails to meet such conditions, if the use becomes a nuisance or if any provision of the Code of Ordinances is violated by the use, the conditional use permit may be revoked by the Department of Community Development upon providing the applicant with written notice of the revocation. If the use endangers the public health or safety, then the Director of Community Development may revoke the permit immediately. The applicant may appeal the revocation of the conditional use permit to the Planning and Zoning Commission. No conditional use permit authorizing a temporary retail sales use shall be transferable, assignable or otherwise alienable, nor shall any such permit be granted authorizing a temporary retail sales use in a residential zoning district. Temporary retail sales uses shall be expressly prohibited in residential zoning districts. Natural disaster or other health and safety emergencies. Temporary uses and structures that may be necessary as a result of a natural disaster or other health and safety emergencies, as determined by the Mayor, shall be permitted for the duration of the emergency or a maximum of sixty (60) days. Merchandise may only be displayed during the business hours of operation. This Subsection (E) shall in no way be deemed to authorize the outdoor display of salvage material or any other items not ordinarily allowed for sale in the corresponding zoning district in which the use is situated. The provisions of this Subsection (E) shall not apply in the "HCD" Historic Commercial District, the "SMPD" South Main Preservation District or "LMPD" Landmark Preservation District. Whether the potential public benefits of the proposed conditional use outweigh the potential adverse impacts of the proposed conditional use as identified above, after taking into consideration any proposal by the petitioner and any requirements recommended by the petitioner and/or City staff to ameliorate such impacts. A special event permit shall be required for a special event. A special event permit application shall be submitted to the Department of Community Development at least fourteen (14) days prior to the start date of the special event to allow sufficient time for review of the application. Additional requirements associated with a special event such as a liquor license may require additional review time. The fee for a special event permit is twenty-five dollars ($25.00) and shall be paid at the time the special event permit application is submitted. A special event permit application shall be reviewed by the Director of Community Development in conjunction with the Departments of Fire, Police and Public Works. Each special event permit application shall include a site sketch; the dates and hours of the special event; anticipated attendance each day; an agenda, itinerary or schedule of events for each day; a detailed plan for parking both on site and off site, a traffic management plan, a sign plan, identification of all temporary structures; food, vending, and alcoholic beverages service or sales, on-site restroom facilities plan, litter receptacle plan and security plan; the dates, times and location of any live music performance or music broadcast that is amplified by speakers or any other means; a site remediation plan; and any other information deemed necessary by the City. Each special event permit application shall include documentation that the owner of the property where the special event will be held has authorized the property to be used for the special event. This requirement includes property used for parking. Standards for special event permits. There shall not be more than four (4) special events located upon the same property within the same calendar year, and each special event shall not exceed a period of three (3) consecutive days. These requirements may be modified by a conditional use permit issued by the City Council upon recommendation by the Planning and Zoning Commission. The special event shall only be conducted in accordance with the special event permit issued, including any conditions or restrictions. It is the sole responsibility of the special event applicant to demonstrate and ensure that public safety, adequate on-site restroom facilities and litter control are provided. The special event applicant shall demonstrate that the special event will not cause traffic congestion given the anticipated attendance in relation to the design of adjacent streets and intersections. A traffic management plan shall be submitted as part of the request for a special event permit. The special event applicant shall demonstrate that adequate off-street parking is available for the anticipated attendance of the special event and that the event shall not cause a shortage of parking for any other use. Off-street parking used for a special event must be a solid surface such as asphalt or concrete. The sign plan submitted with the special event permit application shall be reviewed in accordance with Chapter 400, Article XVI, Sign Regulations. Notwithstanding, the Director of Community Development may approve temporary signage totaling twenty-four (24) square feet in the form of a banner or portable sign. Properties with multiple street frontages may have such signs totaling twenty-four (24) square feet on each frontage. Upon conclusion of the special event, the site must be restored to its previous condition within twenty-four (24) hours. The City may inspect, as may be necessary, to ensure compliance with this Section and all other ordinances relating thereto. No special event permit shall be issued unless all other City, County and State licenses and permits required for the special event have been issued. These licenses and permits include but are not limited to business license, Missouri liquor license, County liquor license, City liquor license, County Health Department, City electrical code and fire code. It is the responsibility of the special event permit applicant to ensure all licenses and permits are timely obtained. The special event shall comply with noise control provisions found in Chapter 230 of the Code of Ordinances. The special event shall comply with all applicable City, County, State and Federal health, safety, environmental and other applicable requirements. Denial of special event permit. The Director of Community Development shall have the authority to deny a special event permit application based on incomplete information or if, in the opinion of the Director of Community Development, the proposed special event will have a negative impact on the health, safety and general welfare of the community. In addition, the Director of Community Development may deny a special event permit application if the applicant has failed to comply with the requirements of any previously issued special event permit. Appeals of permit denial. An applicant may appeal a denial of a special event permit within ten (10) days of the decision by the Director of Community Development to the City Council. The City Council shall, at its next regularly scheduled Council meeting at least ten (10) days after the applicant's appeal to the City Council, consider the facts relevant to the denial of the permit and either shall uphold the denial or reverse the decision of the Director of Community Development. Merchandise may be displayed outdoors only when the business is open to the public. In no case shall merchandise be displayed overnight. Merchandise displayed outdoors must be available for purchase or rent inside the business. A clear and unobstructed path at least forty-four (44) inches wide must be maintained on the sidewalk adjoining the business at all times. All other conditions of this Section are observed. Merchandise may not obstruct sight distance for vehicular or pedestrian traffic, and it may not be located within five feet of a bus stop, fire hydrant, pedestrian crosswalk or handicapped corner curb cut. Merchandise may not obstruct pedestrian or vehicular access to the curb. Merchandise, whether individual items or stacked items, may not exceed four (4) feet in height above grade. Merchandise affixed to the building may be located only on the front (street facing) facade and may not occupy more than ten percent (10%) of the total square feet of the building's front facade. Clothing or wearable goods may only be displayed on freestanding body forms (as delineated in Subsection (G)(9) of this Section) and not hung or attached to any portion of the front facade, including, but not limited to, shutters, doors and windows. Not more than two (2) body forms made of wood, wire or metal may be displayed outside a business, provided that the merchandise displayed on the body form is representative of at least fifty percent (50%) of the stock offered for sale and provided that all other conditions of this Section are observed. Body forms may exceed the maximum height of four (4) feet, but in no case shall they exceed six (6) feet in height. Under no circumstances may clothing racks, hat racks or tables be displayed outside. Merchandise may not be displayed on a public right-of-way without a right-of-way encroachment license from the City. During the Festival of the Little Hills, merchants that normally operate in the SMPD may display merchandise outside on the sidewalk adjacent to their premises or private property without approval of the Festival Committee set forth in Code Section 125.810, provided that the merchandise displayed is normally offered for sale and provided that all conditions of this Section are observed. Merchants that do not normally operate in the SMPD may display merchandise outside, provided that they obtain the approval of the Festival Committee and display merchandise only in the location authorized by the Festival Committee. Tents no larger than ten (10) feet by ten (10) feet [one hundred (100) square feet] may be used for the outdoor display of merchandise only during the Festival of the Little Hills. Deviations from these conditions may be allowed only with a conditional use permit reviewed by the Planning and Zoning Commission and approved by the City Council per the procedure in Section 400.990(E). The application fee for a conditional use permit in this case shall be thirty-five dollars ($35.00). Intent And Purpose. It is the intent and purpose of this Section and Section 400.500 to allow sidewalk cafes upon City right-of-way through the issuance of a sidewalk cafe permit and right-of-way encroachment license to control and limit any adverse impact on pedestrian traffic and other uses of the right-of-way. Notwithstanding the forgoing, sidewalk cafes permits shall not be available to businesses located on that portion of South Main bordered on the north by First Capitol Drive and bordered on the south by Reservoir Drive. This Section and Section 400.500 shall be exempt from the requirements of Sections 400.340(C), 400.350(C), 400.360(C—D), 400.370(C—D), 400.380(C) and 400.1180 through 400.1320, inclusive. Definitions. When used in this Section and Section 400.500, the following words shall have the following meanings unless the context clearly indicates or requires a different meaning. A sidewalk cafe permit issued pursuant to this Section and Section 400.500. The recipient of a sidewalk cafe permit. A food service establishment that is maintained and operated as a place where food and beverages are prepared, served and sold for consumption on the premises. Land in which the City has an easement, has been dedicated by use or is required for use as a sidewalk, street or alleyway. A revocable license to operate a sidewalk cafe on the City right-of-way. That portion of the right-of-way which is located between the curb line or the lateral line of a street and the adjacent property line and which is intended for use by pedestrians. A use located on a public sidewalk that is associated with a restaurant where food and beverages are prepared, served, sold and are delivered for consumption on the sidewalk. A sidewalk cafe is characterized by tables and chairs and may be shaded by awnings, canopies or umbrellas. Special events permitted by the City shall not be deemed sidewalk cafes. That portion of a right-of-way improved, designed or ordinarily used for vehicular traffic or parking. Sidewalk cafes are restricted to the sidewalk frontage of the building where the restaurant is located. The design of sidewalk cafes shall be so that there is a free flow of pedestrian access on the sidewalk. No sidewalk cafe permit shall be issued where the tables and chairs would be placed within five (5) feet of bus stops, fire hydrants, non-pedestrian alleyways, a pedestrian crosswalk or a handicapped corner curb cut. Sidewalk cafes shall be located in such a manner that a distance of not less than forty-four (44) inches is maintained at all times as a clear and unobstructed pedestrian path between the curb line or the lateral line of a street and the adjacent property line or shall comply with the American with Disabilities Act requirements, whichever is greater. No object shall be permitted around the perimeter of an area occupied by tables and chairs which would have the effect of forming a physical or visual barrier discouraging the free use of the tables and chairs by the general public or which would have the effect of obstructing the pedestrian path. Exceptions to this requirement may be granted by the City Council through the approval of a right-of-way encroachment license when sidewalk cafes are located on street right-of-way used solely for pedestrian traffic provided that adequate walkway space, as determined by the City Engineer, is provided for pedestrian traffic. Tables, chairs, umbrellas and other permissible objects provided within the sidewalk cafe shall be of quality, design, materials, size, elevation and workmanship both to ensure the safety and convenience of users. Umbrellas and other decorative material shall be fire-retardant, pressure-treated or manufactured of fire-resistant material. Tables, chairs, umbrellas and other permissible objects provided with a sidewalk cafe shall be maintained with a clean appearance and shall be in good repair at all times. Except for in any of the recognized historic districts, the following condition shall apply: a maximum of one (1) menu board and one (1) specials board shall be permitted per sidewalk cafe. The board shall be in compliance with the sign ordinance. Signs are permitted on umbrellas and shall be in compliance with the sign ordinance. The permit may be transferred to a new owner only for the location and area listed on the permit. The transferee of the permit shall be required to comply with this Section, Section 400.500, applicable insurance requirements and execute a right-of-way encroachment license. The Mayor may require the temporary removal of sidewalk cafes for special events, or when street, sidewalk or utility repairs necessitate such action. The Mayor may order the immediate removal or relocation of all or parts of a sidewalk cafe in emergency situations or for safety considerations, without notice. The City and its officers and employees shall not be responsible for sidewalk cafe fixtures relocated during emergencies. The permittee shall use positive action to assure that its use of the sidewalk in no way interferes with sidewalk users or limits their free, unobstructed passage. The area covered by the permit, including the sidewalk, curb and gutter immediately adjacent to it and all sidewalk frontage of the restaurant for which the permit is issued, shall be maintained in a neat and orderly appearance at all times by the permittee. The area shall be kept clear of all debris. The permittee shall also be responsible for cleaning the ground or floor surface on which the sidewalk cafe is located and the gutter area immediately adjacent to the sidewalk cafe. Such cleaning shall include pressure cleaning. If the area covered by the permit is not maintained in a neat and orderly appearance after five (5) days' written notice, the City may then take steps necessary to place the property in a neat and clean order and charge the permittee with the reasonable cost of repairs. Such action by the City does not create a continuing obligation on the part of the City to make further repairs or to maintain the property and does not create any liability against the City for any damages to the property if such repairs were completed in good faith. No advertising signs or business identification signs shall be permitted in the public right-of-way except as permitted in Subsection (C)(8) of this Section. No tables, chairs or any other parts of sidewalk cafes shall be attached, chained or in any manner affixed to any tree, post, sign or other fixture, curb or sidewalk in or near the permitted area. Sidewalk cafe seating shall be included when determining the requirements for parking and bathroom facilities of the restaurant. No cooking or fire apparatus shall be allowed on the public sidewalk whether or not such area is covered by this permit. Only the sidewalk cafe equipment specifically shown on the approved site plan drawing referenced in Section 400.500(B)(5) shall be allowed in the permit area. The estimated chair count per table may vary within the prescribed area, provided that the chairs remain within the approved sidewalk cafe area. No permanent storage of chairs, tables, dishes, silverware or other sidewalk cafe equipment shall be allowed in the permit area, in any portion of the public right-of-way or outside the structural confines of the building in which the restaurant is located; however, the permittee may maintain such non-permanent structures as rolling service stations in the permit area during hours of operation. There shall be no live entertainment or speakers placed in the permit area unless approved and properly permitted by the City. The City shall, as deemed necessary, inspect all sidewalk cafes for which permits have been issued to determine whether such sidewalk cafes conform to the criteria set forth in this Subsection. The hours of operation for a sidewalk cafe shall be from the start of business until 11:00 P.M. or thirty (30) minutes after last food service, whichever is earlier, unless the sidewalk cafe is completely enclosed by fencing or barricades in which case the hours of operation for the sidewalk cafe shall cease at 1:00 A.M. Section 600.100 of this Code, which prohibits drinking in public places, shall not be enforceable against patrons of a duly permitted sidewalk cafe so long as open containers of alcohol remain within the sidewalk cafe's premises and are only available for consumption during the sidewalk cafe's hours of operation. No person shall establish a sidewalk cafe on any public right-of-way or sidewalk until a permit to operate the sidewalk cafe has been issued and where a right-of-way encroachment license has been executed by the applicant and the City. Sidewalk cafes shall only be located where permitted by the City's zoning regulations. Sidewalk cafe permit applications shall be reviewed and approved in the manner as set forth in this Section. Commercial general liability insurance in the amount of no less than the minimum amount stated in Section 537.610.1, RSMo., and as adjusted annually as determined pursuant to Section 537.610.5, RSMo., for all claims arising out of a single occurrence and for any one (1) person in a single accident or occurrence. All insurance shall be from companies duly authorized to do business in the State of Missouri. All liability policies shall provide that the City, its elected officials and employees are an additional insured as to the operation of the sidewalk cafe and shall provide the severability of interest provision. Floor plan of the existing building and any proposed modification showing the relationship of food preparation areas to the sidewalk cafe. A right-of-way encroachment license in the form required by the City and signed by the applicant. Staff review indicates that the sidewalk cafe would create an obstruction to or cause congestion of pedestrian or vehicular traffic due to existing conditions on the surrounding public right-of-way so as to represent a danger to the health, safety or general welfare of the public. In the event the Department of Community Development denies a permit, the applicant may within ten (10) days of the date of the denial appeal the denial to the City Council. Notice of denial shall be sent to the applicant by United States mail, certified mail, return receipt requested at the address shown on the permit application. Upon an appeal of the denial of a permit, the Department of Community Development shall prepare a report to the City Council. The Council shall hear the appeal in no less than ten (10) days' notice to the applicant. The Council may affirm or reverse the decision of the Department of Community Development. Effective period. Each permit shall be effective for one (1) year subject to annual renewal as provided below. Hold harmless provision. Both the permit and the right-of-way encroachment license shall include an explicit hold harmless provision holding the City harmless from any and all liability arising out of the issuance of a sidewalk cafe permit, execution of the right-of-way encroachment license and the operation of the sidewalk cafe. Site plan controlled. The permit shall be specifically limited to the area shown on the exhibit attached to the application and made part of the permit. The right-of-way encroachment license shall be specifically limited to the area described in the permit and right-of-way encroachment license or any attached exhibits. Permit Renewal. The permit renewal fee will become due and payable thirty (30) days prior to the expiration of the permit. Together with such fee, the permittee shall provide the Department of Community Development with a renewal application on a form provided by the department containing the location of the sidewalk cafe. An application for renewal must include a new site plan if any changes are being made to the previously approved sidewalk cafe's structure or layout. Failure to pay the renewal fee or submit the renewal application with supporting documentation (where applicable) at least thirty (30) days prior to the expiration of the existing sidewalk cafe permit shall be grounds to reject the renewal application. In the event of rejection, the permittee shall remove the sidewalk cafe upon the expiration of the existing sidewalk cafe permit. Permittee has failed to correct violations of the City Code of Ordinances within five (5) working days of receipt of the official's notice of same delivered in writing to the permittee. Upon revocation or suspension of a permit, the Department of Community Development shall give notice of such action to the permittee in writing stating the action which has been taken and the reason therefor. The revocation or suspension shall become effective within fifteen (15) days following receipt of the notice by the permittee unless appealed as provided in this Code. Fee. The annual fee for a sidewalk cafe permit is fifty dollars ($50.00) and shall not be prorated. Intent And Purpose. It is the intent and purpose of this Section to allow the use of portable on demand storage containers on a controlled, time limited basis. Definition. For purposes of this Section, a "portable on demand storage container" is a portable container designed, constructed and used for temporary storage of property. Typically, a portable on demand storage container is rented for a short time period and is removed by truck upon the expiration of the rental period. A portable on demand storage container is not a dumpster or receptacle used for the disposal of solid waste. Permit Required. No person shall park or cause to be parked a portable on demand storage container on residential property for longer than five (5) days without first obtaining a permit from the Department of Community Development. Permit Duration And Display. A portable on demand storage container permit shall be valid for thirty (30) days and may be renewed for one (1) additional thirty (30) day period. Persons applying for a permit for use in conjunction with fire, flood, storm or other disaster repair may be issued a ninety (90) day permit which may be renewed for one (1) additional ninety (90) day period. The permit shall specify the dates during which the container may be located on the property; the location where the container will be situated on the property; and be affixed to the container and displayed as long as the container remains on the property. Not more than three (3) permits may be issued for any lot or parcel of property in any consecutive twelve (12) month period. There shall be no fee for the issuance of the permit. Shall not be situated in front of a residential structure's windows or doors so as to impede ingress or egress from the structure in the case of an emergency. Nothing in this Subsection is intended to prohibit the placement of a container in front of a garage door. Purpose. The purpose of these regulations is to regulate the location, placement and duration of temporary tents in non-residential areas. Exceptions. The following regulations shall not apply to construction trailers or any other type of temporary shelter as otherwise regulated within the Zoning Ordinance. Definitions. For the purposes of this Section, the definitions in Section 400.050 shall apply. Areas Permitted. Temporary tents are permitted on properties zoned "C-1", "C-2", "C-3", "I-1", "I-2" and "CBD" occupied by an existing non-residential land use. Permits. No person shall construct a temporary tent for commercial use without first obtaining a tent permit. No tents shall be erected prior to the issuance of an approved tent permit. Permit length. The maximum length of a temporary tent permit shall be thirty (30) days. Additional time shall only be granted through the approval of a conditional use permit. Frequency. One (1) permit per calendar year shall be issued per commercial business. In the case of multiple-tenant buildings, only one (1) permit shall be allowed at any one time. Additional permits may be granted through the approval of a conditional use permit. Uses For Tents. Tents may be only used as an accessory use to an existing primary use permitted within the applicable zoning district, or for an approved temporary retail sales use. May be subject to additional conditions as deemed necessary to protect the public health, safety and welfare by the City of St. Charles. Removal. Tents must be dismantled and removed within twenty-four (24) hours after the expiration date of the permit. Failure to comply with the removal provisions within seventy-two (72) hours from the expiration date of the permit may result in citation, subject to a fine of not more than five hundred dollars ($500.00) for each subsequent day of non-compliance. Intent And Purpose. It is the intent and purpose of this Section to allow the use of commercial storage containers on property zoned "C-1" Neighborhood Business District or higher on a controlled, time limited basis. Definition. For purposes of this Section, a "commercial storage container" is a portable container designed, constructed and used for temporary storage of goods, merchandise and supplies offered for sale or used by a permitted retail operation. Typically, a commercial storage container is rented for a short time period and is removed by truck upon the expiration of the rental period. A commercial storage container is not a dumpster or receptacle used for the disposal of solid waste. Permit Required. No person shall park or cause to be parked a commercial storage container on commercial property without first obtaining a permit from the Department of Community Development. Permit Duration And Display. A commercial storage container permit shall be valid for ninety (90) days. Additional time may be granted by the Director of Community Development upon a showing of good and sufficient cause. The permit shall specify the dates during which the container may be located on the property; the location where the container will be situated on the property; be affixed to the container displayed long as the container remains on the property. There shall be no fee for the issuance of the permit. Shall be maintained in a clean and orderly condition, kept free of trash and debris and be locked and secure at all times except when being accessed by authorized personnel. Residential Accessory buildings, where permitted, shall be subject to the following regulations. See Figure 1 following Section 400.050. Use. No accessory building shall be used for a dwelling. A detached accessory building shall not be erected in a required front yard, except on a double frontage lot. Accessory buildings located on double frontage lots may be placed in the yard space at the rear of the building, provided no portion of the frontage along the same street where the accessory building is proposed to be located is utilized as the principal entrance for the main building of any lot in the block. Accessory buildings located on double frontage lots and placed in the yard space at the rear of the building shall be set back at least ten (10) feet from the property line. building shall not exceed the height of the principal building as measured according to Section 400.050. Maximum size shall not be equal to or greater than the base area of the principal building. The total square footage of all accessory buildings shall not exceed the square footage of the ground floor of the principal building. Shipping container structures may be used as accessory buildings provided all other requirements of this Section are met and provided further that the conditions enumerated in Section 400.150(D)(1)(q) are met. The accessory building shall comply with the maximum lot coverage requirement of the zoning district. There shall be no limit to the number of accessory buildings within non-residential zoning districts, provided the district's minimum Design Standards are met. Within the visible area of a corner lot that is included between the lines of the intersecting streets and a straight line connecting them at points thirty (30) feet distant from the intersection of the street right-of-way lines, nothing extending to a height in excess of eighteen (18) inches above the established street grade shall be erected, planted or maintained. See Figure 7 below. This Section contains the regulations for the erection or alteration of fences in the City. Customary fencing around tennis courts and other recreational amenities shall be exempt from height restrictions but shall comply in all other respects with the terms of this Section. Fences for pools shall meet the requirements of this Section as well as all other applicable regulations of the City. It shall be the responsibility of the property owners to insure that a fence does not block or obstruct the flow of storm water. A permit is required for the construction or replacement of fences. Fences constructed in the Extended Historic Preservation District or any other superimposed historic district shall require approval by the Landmarks Board. Fences located within a front yard. A fence or wall not more than four (4) feet in height, with distances between its pickets being equal or greater than the width of its pickets may project into any required front yard. Such fences or walls located within a front yard on a lot with single frontage are prohibited. Such fences or walls located on a double frontage lot as defined in Section 400.050, (Excluding Corner Lots) may project into the front yard space at the rear of the building, provided no portion of the frontage along the same street where the fence is proposed to be located is utilized as the principal entrance for the main building of any lot in the block. These fences shall not exceed seven (7) feet in height, and the design, color and material of the fence shall be complementary or shall match the color of the principal structure on the property. Such fences or walls located on a corner lot and within a required front yard on the side of a property used as a principal entrance to the building on the lot are prohibited. Such fences or walls located on a corner lot and within a required front yard on the side of a property not used as a principal entrance to the building on the lot shall not exceed seven (7) feet in height, shall be set back from the property line at least ten (10) feet, and shall comply with Section 400.540 regarding corner visibility. Chain link fencing is prohibited within a required front yard unless such fence is located on a corner lot and within a required front yard on the side of a property not used as the principal entrance to the building. Such a fence will be subject to the regulations provided within Section 400.550(A)(2). Fences located within a side or rear yard. A fence of up to seven (7) feet in height may be located within the yard space at the side or rear of the property regardless of picket spacing. The use of barbed wire, single strand wire, wire mesh, wire grid or chicken wire fences along the perimeter or boundary of a property in a residential zoning district is prohibited. Fences or enclosures charged with, or designed to be charged with, electrical current are prohibited. Fences shall be limited to eight (8) feet in height, except as required for junk yards in Section 400.450(A) and except for electric fences as provided within Section 400.550(A)(3)(c). Barbed wire shall be permitted only if the lowest strand is at least seven (7) feet above grade and when used for security purposes in addition to a regular fence. Such fences shall be permitted within the "I-1" Light Industrial District and "I-2" Heavy Industrial District only. Such fences shall have a perimeter fence that is not designed to be charged with an electrical current. The perimeter fence shall be located between the electric fence and the property line. Such fences may not exceed ten (10) feet in height, and may not extend more than two (2) feet above the height of the perimeter fence. The required perimeter fence shall be at least six (6) feet tall. Such fences may project toward the perimeter fence no lower than six (6) feet above grade and may not project beyond the vertical plane established by the perimeter fence. Such fences shall be setback from the perimeter fence a distance of six (6) inches to one (1) foot..
Where such fences are located on a property that abuts a residentially zoned parcel, the perimeter fence shall be sightproof. Signage identifying the presence of an electrified fence shall be posted on the required perimeter fence at intervals no less than sixty (60) feet. Such fences shall be certified by UL or another nationally recognized testing agency. All fences must be constructed in a workmanship-like manner so that the horizontal and vertical support posts are inside of the fence area or hidden from both the neighbor's and general public's view. Fences must be straight and run parallel to the lot line. No more than two (2) different types of fencing material (wood and chainlink or two (2) types of wood) are permitted. No fence shall be made of, in whole or in part, cloth, slatted chainlink, sheet metal, corrugated metal, metal scraps, canvas or other like material. Property owners shall be responsible for maintaining fences on their property and for removal of any fence if it becomes unsightly or a menace to public safety, health or welfare. Fences shall be maintained in an upright condition. Missing boards, pickets or posts shall be replaced within forty-five (45) days with material of the same type and quality. Fences designed for painting or similar surface finishes shall be maintained in their original condition as designed. All exposed steel, except the galvanized metal fences, shall have a colored finish coat applied to them and be preserved against rust and corrosion. Any building requiring yard space shall be located at such an elevation, as determined by the Department of Community Development, that a sloping grade shall be maintained to cause the flow of surface water to run away from the walls of the building. The rear and side yards shall be sloped to allow for the flow of surface water away from the building without creating a nuisance. However, this shall not prevent the grading of a yard space to provide sunken or terraced areas; provided proper means are constructed and maintained to prevent the runoff of surface water from creating a nuisance on the adjacent properties. When a new building is constructed on a vacant lot between two (2) existing buildings or adjacent to an existing building, the new building and the yard around the new building shall be graded in such a manner as to meet existing grades and not to permit runoff of surface water to flow onto the adjacent properties. Final grades shall be approved by the Department of Community Development and the Department of Public Works. All exterior lighting including illuminated signs, shall be erected and hooded or shielded, so as to direct light away from any adjacent residential zoning district. Church spires, belfries, monuments, tanks, private water and fire towers, stage towers or scenery lofts, cooling towers, ornamental towers and spires, non-residential chimneys, elevator bulkheads, stacks, conveyors, flagpoles and similar structures or architectural features not intended for human occupancy may be erected in excess of the district height regulations if sited in such a way that, should the structure fall, it will not fall upon any property adjacent to the lot where the structure is located. Buildings in the "C-2," "C-3," "1-1," "1-2" and "OBP" Districts may be erected to a maximum height of eight (8) stories or ninety (90) feet if the building setbacks and/or minimum distances between buildings are also increased one (1) foot for each one (1) foot of additional building height above the district regulations, with approval of the City Council. Buildings in the "CBD" may be erected to a maximum height of eight (8) stories or ninety (90) feet, with approval of the City Council. Water storage tanks tor public drinking water supply are exempted from the maximum height requirements of Chapter 400. Any building or structure shall not be moved to and placed upon any other premises in the City until a permit for such removal shall have been secured from the Department of Community Development. Any such building or structure shall fully conform to all the provisions of these regulations in the same manner as a new building or structure. No building or structure shall be moved into the jurisdiction of the City from outside the jurisdiction of the City until such permit has been secured. Before a permit may be issued for moving a building or structure, the Department of Community Development shall inspect the building and shall determine if it is in a safe condition to be moved and whether it may be reconditioned to comply with the adopted building code(s) and other requirements of the City for its use and occupancy. Enclosed within a garage or accessory structure. In a rear yard, defined for the purposes of this Section as the area extending along the full width of the rear lot line between the side lot lines and extending toward the front lot line for a depth as specified in the yard regulations for the district in which such lot is located. The entire area beneath the RV, boat, trailer or camper must be a paved surface area as defined in Section 400.050. Trees of at least four (4) inches in diameter block access to the rear yard for parking or storage. Notwithstanding the above restrictions, recreational vehicle, trailers designed or utilized as temporary living quarters for recreation, camping or travel use, trailers designed or utilized for the transportation of a boat or camper shell may be parked on a residential lot for no more than forty-eight (48) consecutive hours for the purpose of loading or unloading if the owner is present. Recreational vehicles (RV) as defined in Section 400.050, boats, boats trailers, recreational and camping trailers, and camper shells shall not be parked between the front facade of a building and the street, except for a period not to exceed forty-eight (48) consecutive hours for the purposes of loading or unloading if the owner is present. A cargo/enclosed trailer, race car trailer, equipment trailer, car hauler, concession/specialty trailer, motorcycle, ATV or snowmobile trailer shall not be parked or stored between the front facade of a building and the street. A maximum of two (2) of the following shall be allowed for any one (1) residential lot: recreational vehicle, recreational or camping trailer, camper shell, boat or boat on a trailer, cargo/enclosed trailers, race car trailers, equipment trailers, car haulers, concession/specialty trailers, motorcycle, ATV and snowmobile trailers, and landscape trailers. The parking surface shall be designed, constructed and intended to be used expressly for the purpose of parking or storing recreational vehicles, recreational or camping trailers, camper shells, boats or boat trailers, cargo/enclosed trailers, race car trailers, equipment trailers, car haulers, concession/specialty trailers, motorcycle, ATV and snowmobile trailers, and landscape trailers. Nothing contained in this Section is intended to invalidate any subdivision covenant or homeowners' association covenant which is more stringent than the provisions of this Section. Except as specified in this Section, recreational vehicles, boats, boats on a trailer, all trailers including, but not limited to, the following: cargo/enclosed trailers, race car trailers, equipment trailers, car haulers, concession/specialty trailers, motorcycle, ATV and snowmobile trailers, landscape trailers, recreational and camping trailers, and camper shells shall not be parked or stored in any portion of a residential zoning district including residential lots and residential streets. Only one (1) item may be parked on a lot. The item shall be parked on a paved surface adjacent to the street. The item shall not be parked on the street or on any unpaved surface. The item shall have all required licenses, registrations and permits and shall be in operable condition. Editor's Note: Section 1 of Ord. No. 15-294 also changed the title of Section 400.600 from "Parking and Storage of Boats, Trailers, Camper Shells and Recreational Vehicles on Residential Property and City Streets" to "Parking and Storage of Boats, Trailers, Camper Shells and Recreational Vehicles on Residential Property, City Streets and in Mobile Home Parks." Electrical, Communication And The Like. All electric lines, telephone lines, cable television lines and related lines for the transmission of telecommunication services shall be installed underground, except in residential zoning districts where existing electric and communication distribution lines are located overhead. Overhead electric and telecommunication lines may be installed in said residential zoning districts for infill housing, building additions, new accessory buildings and upgrading of electrical services. Cable switching enclosures, pad-mounted transformers and service pedestals may be installed above ground. Accessible Public Water Supply. Where public water is within one hundred (100) feet, each lot within the subdivision area shall be required to connect thereto. All connections shall be subject to the approval of the Board of Public Works. Non-Accessible Public Water Supply. In a proposed subdivision (pending accessibility of a public water supply) the subdivider may be required to construct wells or a private water supply system in such a manner that an adequate supply of potable water, approved by the State Board of Health, will be available to every lot in the subdivision at the time improvements are erected thereon. Sanitary Sewer System. Each lot within the subdivided area shall connect to the public sanitary sewer system from a single lateral, in accordance with Chapter 705 of the City Code of Ordinances. All connections to the public sanitary sewer system shall be subject to the approval of the Board of Public Works. Cross References—As to business regulations relating to public utilities, ch. 615; as to water, sewers and sewage disposal, Title VII. Every part of a required yard shall be open to the sky, except as authorized by this Article and except ordinary projections of sills, belt courses, window air-conditioning units, chimneys, cornices and ornamental features which may project to a distance not to exceed twenty-four (24) inches into a required yard. For purposes of this item, landscaped areas are considered to be open to the sky. On double frontage lots the required front yard shall be provided on each street. There shall be a front yard on each street side of a corner lot in any district; provided that the buildable width of a lot of record at the time of passage of this Section shall not be reduced to less than twenty-eight (28) feet. Open, unenclosed porches, decks or platforms, including those not covered by a roof or canopy and which do not extend above the level of the first floor of the building, may extend or project into any required front yard setback no more than six (6) feet. Open, unenclosed decks or porches or decks or porches covered by a roof or canopy and/or enclosed by screening may encroach into the required rear yard setback no more than ten (10) feet. Deck enclosures that consist of any material other than screening, such as glass or solid walls or that consist of less than ninety percent (90%) screening, are considered room additions and must meet the required rear yard setback for the zoning district in which they are located. Where a lot is within one hundred (100) feet of one (1) or more buildings existing on each side, the front yard setback line shall be the average setback of these adjoining buildings. Interior lots abutting on a pedestrian walkway shall be required to have a side yard of not less than ten (10) feet abutting the walkway. In all residential zoning districts, the "A" district and for any dwelling unit in the "C-1", "HCD" or "CBD" districts, swimming pools shall not be constructed in any required yard, except the required rear yard and not closer than six (6) feet to a side or rear property line. Swimming pools located on double frontage lots may be placed in the yard space at the rear of the building, provided no portion of the frontage along the same street where the swimming pool is proposed to be located is utilized as the principal entrance for the main building of any lot in the block. Swimming pools located on double frontage lots and placed in the yard space at the rear of the building must meet one-half (1/2) of the front yard setback. In no instance shall the deck area be nearer than five (5) feet to an adjoining lot line. For the purposes of this requirement, a "swimming pool deck area" shall be defined as any constructed surface directly abutting the pool which provides access to the water, lounging space or serves as a walkway around the perimeter of the pool. Swimming pool deck area shall exclude any paved surface, including, but not limited to, paving blocks, bricks or other similar material. In commercial zoning districts a swimming pool utilized as part of a sales/display facility or motel complex or other non-residential use shall be located no closer than twenty (20) feet to the front property line and no closer than five (5) feet to a side or rear property line. In all residential zoning districts, permanent generators shall not be located in front of the principal structure or within any required side yard or rear yard setback. A generator permanently installed in a residential zoning district shall be shielded with a cover designed and manufactured to muffle the sound. The testing of generators is prohibited before 7:00 A.M. or after 10:00 P.M. on any day in any residential zoning district. In commercial districts, generators shall be located and screened in the same manner as required for mechanical equipment. Firewood may be stored on residential property only for consumption on the premises. Firewood may not be stored on residential property for sale, donation or conveyance to any person other than the residents of said property. A maximum of four (4) full cords may be stored in the rear yard behind the rear building line of the residence. The firewood must be evenly piled or stacked either on open racks elevated to not less than six (6) inches above the ground or on a durably paved surface. A clear space of at least twelve (12) inches must be maintained between firewood stored in the rear yard and buildings, fences and property lines. A maximum of one-half (1/2) cord may be stored on a decorative firewood rack located on a front porch or in a side yard. For purposes of this Section, a cord of firewood shall be defined as follows: the amount of firewood that, when arranged so pieces are aligned, parallel, touching and compact, measures four (4) feet wide by four (4) feet high by eight (8) feet long and is one hundred twenty-eight (128) cubic feet in volume. Cross References—As to penalty, §400.1890; as to parks and recreation, ch. 255.